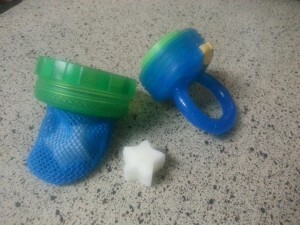 Jess shares her method for making breastmilk pops for teething. Teething is a common reason many folk come into the Nappy Shoppe. They come for teething tablets, amber, silicone jewelry and teething tablets. 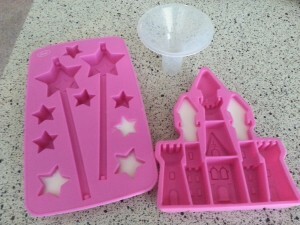 Recently on one of our mums boards, several of the girls shared about how they made breastmilk pops to sooth sore gums. 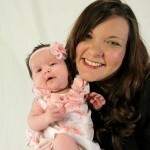 Jess A, kindly wrote for me, her how to make breastmilk pops. 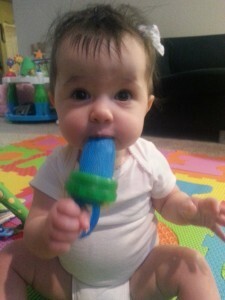 Jess writes “One of Abi’s favorite things to help her with the discomfort of teething has been breastmilk pops! Initially, I had trouble getting the breastmilk from the bottle to the ice cube tray so I improvised and used the flange from my pump as a funnel! The fun part for me is using cute ice cube trays so the breastmilk pops make fun shapes. However, any ice cube tray will do the trick.